The Program has been designed to give hope to bright, deserving children by giving them the opportunity to obtain an education and resultant benefits including better educational outcomes, improved chances of success in life, increased gender equality in secondary education, new opportunities for students from rural areas to access education and greater social integration among students. In addition to a focus on academic excellence and achievement, the program’s curriculum places an emphasis on skills development and networks to help students succeed in secondary school and beyond. Upon graduation, scholars with high academic achievements will be selected for internships with Equity Bank. They will be part of an alumni program that hosts annual conferences and facilitates networking with industry leaders. 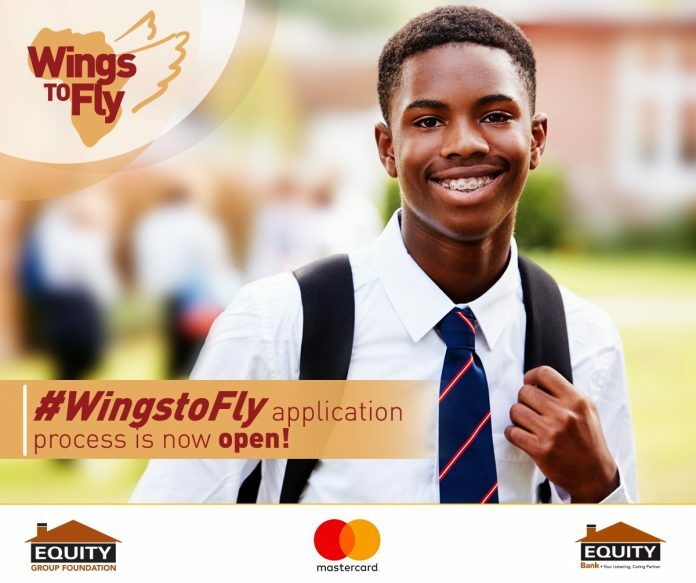 The Wings To Fly program targets high achieving yet needy (orphan or vulnerable) students identified by assessing their performance at the nationally administered Kenya Certificate of Primary Education examinations (KCPE). Must be Academically Promising – Prospective scholars must be in the top 5 percentile performing students in their District in the Kenya Certificate of Primary Education (KCPE) examination. Children with parents living under extreme poverty and are unable to educate their children. The program offers a comprehensive scholarship package that includes tuition, books, uniforms, transportation and pocket money for all four years of the student’s secondary education. Scholars also receive leadership development, career guidance and mentoring to ensure they achieve their full potential.